Tony’s surf/skate shop, Ocean Hut (otherwise known as “O-Hut”), is located in Lavallette, NJ, a historical fishing town at the beginning of a barrier island; which connects to the main land at New Jersey and is surrounded by the Atlantic Ocean. Lavallette became a popular summer vacation destination and surf town for ocean lovers since the 1970s. During Hurricane Sandy in 2012, Surf Mei Mei witnessed most of the town, including O-Hut, destroyed into pieces. Shortly after two years of the disaster, O-Hut came back restored and looking better than ever as the town rallied back to its charming surf town scene. Surf Mei Mei sat and chatted with Tony about Ocean Hut, surfing, Hurricane Sandy, and life in general, on a casual Jersey winter afternoon. It was easy to understand why Tony is such a beloved human being in the local East Coast community, and it all begins from Tony’s gratitude in life. The day Tony’s father bought a beach house in 1967, it became “either the beginning or the end,” according to Tony. He obtained a surfboard and involved himself in surfing and never looked back from then on. Tony was only 13 years old when he started surfing at Lavallette, NJ. He considers himself a surfer and athlete. Tony grew up with very liberal, open-minded parents—it was because of the influence from Tony’s family to have no fear, which he has strived in life. Tony surfed as much as he could since he was 13 years of age, and had decided not to go to college, but chose instead to focus on surfing in Hawaii with his parents’ support as they understood that surfing was Tony’s passion. When Tony was 19, he was offered a job at North Shore as a professional surfer and initially planned to reside in Hawaii. Instead, Tony took his father’s offer up on a business deal; he would help Tony open a surf shop right by their beach house in Lavallette. Tony cashed in all of his savings while his father offered to match his savings, in addition obtained a loan from the bank to start the business. Everyone who knows Tony still claims to this day that he is the king of Inlet (Manasquan). He and other local surfers like Scott Duerr, traveled all along the Jersey shore from Long Beach Island to Manasquan to Sandy Hook. He was part of IPS (International Professional Surfing), and traveled all over the world with other professional surfers while still overseeing and managing his Ocean Hut Surf Shop back in Jersey. SMM: Have you always wanted to own your own business? SMM: Your surf shop has survived many disasters. [Hurricane] Sandy was one of them; how did you overcome them? Tony: “It was kind of like a giant stumbling block that you had to face. At the beginning, I could not believe that I owned a house that got destroyed, I owned a business that got destroyed, all in a day and half. It is a matter of not wanting to fold the tents that give you the energy to just put it all back together. I mean at the end of the day, this is my home. I still retreat to Lavallette. It’s been a struggle. It is nothing that we cannot get through. Very fortunate, that my wife and I live a very simple life style. 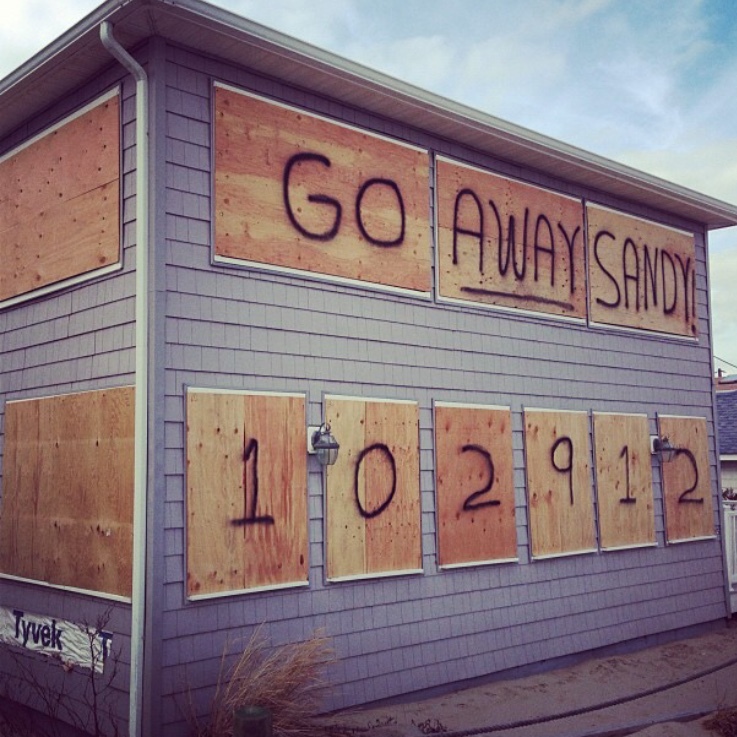 We have some resilience in the simple way we live, so that has helped us dramatically [when Sandy hit]. We rallied with our good friends, spent 6 weeks living with friends and family. Solid effort involved by friends and family and getting our house and business back. It’s more like a state of mind. You just have to forget about everything and just look at what you need to accomplish every day. And try to get to that point. You have to take baby steps and just hope a few months go by, those baby steps will add up to a relieve and majority of things being done. That’s how we rolled. SMM: You have surfed the world, where is your favorite surf spot? Tony: “I have been to a lot of places. Indo is very magical; Mentawai Island is a place on its own, Jeffery’s bay is great… I truly love Sunset Beach. I surfed there every year over 20 years straight. I have already told my sons that if I die, I want my ashes to put into the ocean at Sunset [Beach]. SMM: What is your goal in life? SMM: Can you give all Surf Mei Mei some advice on business and entrepreneurship? How to become who they want to be? SMM: Does that apply to becoming a successful professional surfer? 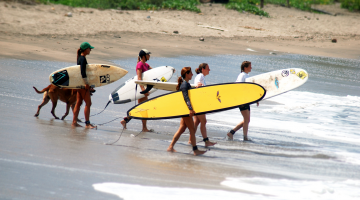 What makes a professional surfer successful? Tony believes being level-headed is important, because it takes talents, luck, timing and clear-headedness to know what is and what isn’t. He has travelled all around the world, surfed with everybody and has received respect by everyone because he is humble and level-headed. “You have to understand your limitations to your environment. Being realistic is important in order to success and find your own niche,” according to Tony. SMM: What kind of advice would you give to young surfers in terms of balancing life style? Many East Coast surfers may know Clay Pollioni, a New Jersey local pro surfer. You can often see Clay on covers of EMS, Surfline, and Inertia. Ocean Hut plays a special place in Clay’s life because he used to work with Tony growing up while attempting to complete his surfing dreams. Clay is sponsored by companies like Body Glove, Smith Optics, Dakine, and Robert Surfboard. Surf Mei Mei also chatted with this former O-Hut employee, New Jersey surfer, and asked him why he thinks Tony G. is a local legend. Clay got into competing while working at Ocean Hut. He was a regular at the ESA (Eastern Surfing Competition), and became a well-known local surfer with his go-getter attitude and graceful form of surfing while he was in his teenage years. Tony has always been one of his mentors growing up in the surfing industry. 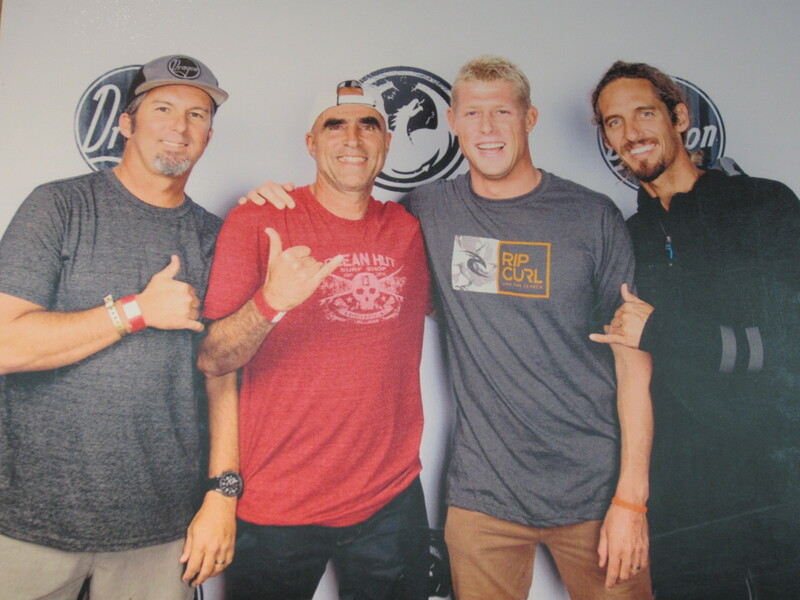 He is inspiring to Clay because he has competed in the ISA, did the world tour (of surfing), and became respected by many surf legends, like Kelly Slater. Tony has a professional perspective and clear head about the industry. He is also a family man with great values, which has taught fellow surfers, like Clay, about life and commitment. All images are originated by Tony Giordano.